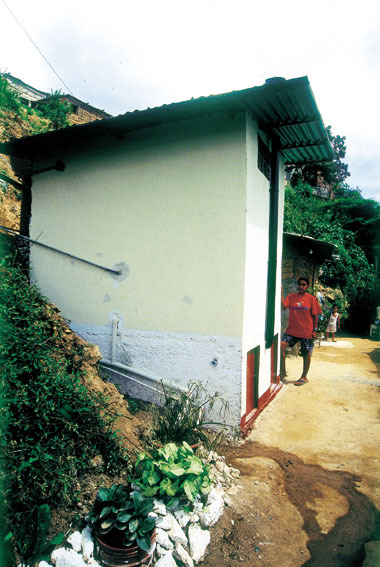 "A dry, ecologically safe toilet was built on the upper part of La Vega barrio, a district in the city without access to the municipal water grid.The toilet collects waste and turns it into fertilizer for an area with no running water." "The project attempts to rethink the relationship between infrastructure and architecture in real-life urban practice in a city where about half the population receives water from municipal authorities no more than two days a week". Collects waste and turns it into fertilizer.